The cherry blossom tree is truly a sight to behold, especially when it is in full riotous bloom. Love those small pinkish-hued flowers. So yesterday I tried doing a cherry blossom nail art inspired by it's beauty... This is easy and looking very pretty. 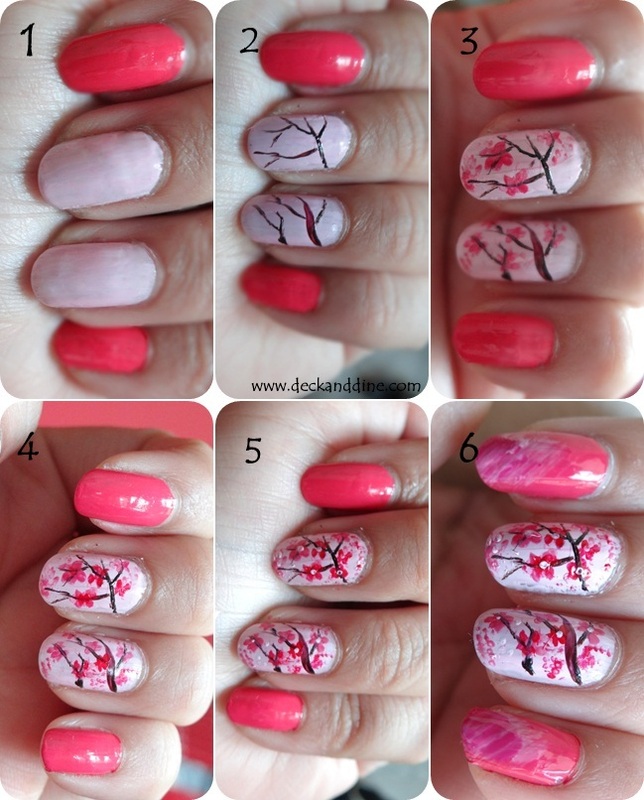 Learn how to do cherry blossom nails with our step-by-step tutorial. Nail polishes ( A hot pink, a pale/ French pink, dark brown, a clear top coat). I didn’t have brown nail polish, so I mixed up red and black. Paint the index and little finger nails with the hot pink nail color and the rest with French pink. Let it dry completely. Dip your brush in a brown nail polish and start drawing branches on the nails you painted light pink. Make sure the lines aren’t too thick. Practice on paper to nail the brush control. Let dry. 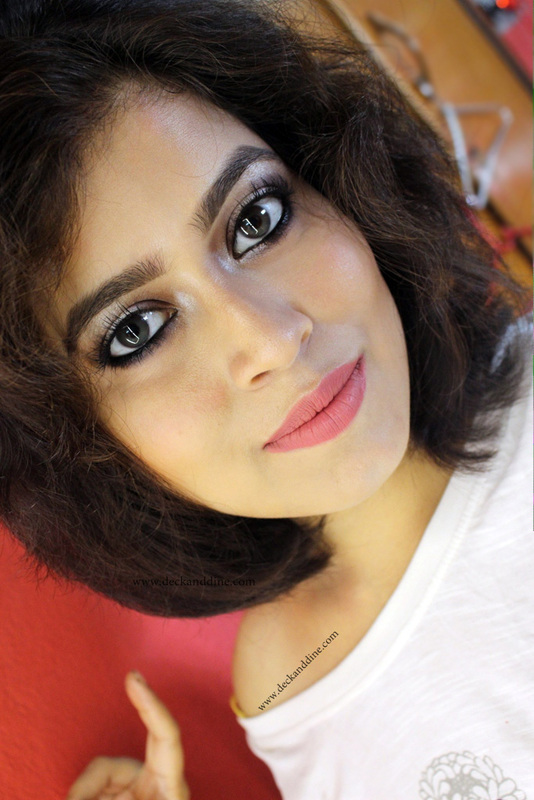 I mixed a little bit of the dark pink to the light pink and mixed together well. It should be a few shades darker than the light pink background you have on your nails. Now taking this pink in a brush I made little tiny dots clustered together to form flowers. Draw a few random tiny dots. Now taking the hot pink color, add a few more flowers to make the nail art appear brighter. Draw a few tiny dots here and there like before. Draw the centre of flowers with the light pink color. I just added a few light strokes of light pink and purple on the “hot pink” nails to give a texture. Well, this is completely optional. So that’s it. You can apply a top coat if you want. I personally like to keep them “non-shinny”.